Fall is a wondrous time of year. It’s a time when many of us stop to appreciate and witness the glory of decomposition. As the trees shed their leaves in advance of another season, we’re reminded of the temporal quality of our lives. It’s always been a time of great reflection for me. This week, I’ve decided to focus on two projects instead of three to give these stories the extra love they deserve. These are stories that I believe deserve to be told, shared, and acknowledged. Sometimes you happen across a story that so obviously needs to be told that it is almost hard to believe it hasn’t been done already. That is precisely the kind of story La Voz De M.A.Y.O. is. It’s a gorgeous and essential look at the story of Ramon Jaurigue, an orphan and WWII veteran. Ramon Jaurigue led a rich life dedicated to preserving and advancing the rights of his people and other indigenous folks. To his family, Jaurigue went by the name Tata Rambo. That is how the author, journalist, and activist Henry Barajas knew him. 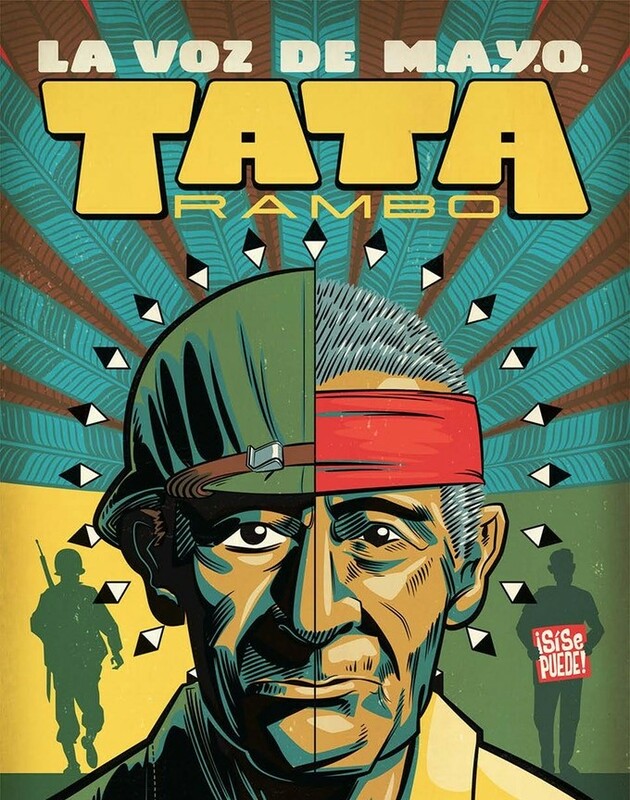 Ramon Jaurigue is the great-grandfather of Barajas who grew up hearing tales of Tata Rambo. This comic is dedicated to telling Jaurigue’s story as well as the story of the Pascua Yaqui tribe of Arizona. Ramon Jaurigue gained a passion for social justice and organizing as the co-founder of the Mexican, American, Yaqui, and Others (M.A.Y.O.) organization. MAYO is a political organization formed in 1967 dedicated to social change and organization. Jaurigue adopted the methods of organization to help advance the cause of his tribe and people in Tuscon. The Pascua Yaqui was under increasing pressure from the government during the 1970s to give up their land. It’s a story which is horrifically common in the United States native populations. The Pascua Yaqui people settled in Tuscon, Arizona after fleeing Mexico in the early 1800s due to the war between Mexico and the indigenous Yaqui. The tribe did not gain federal recognition in the United States until the late 1970s thanks to the work of Ramon Jaurigue. Gaining federal recognition for the tribe was important for numerous reasons. First, it would prevent the government from taking away their land, a genuine and ongoing threat facing the Pascua Yaqui. If the government was successful in taking away their land, it would have dispersed the tribe. The result could be a wholesale destruction of the tribe, its culture, and language. The other reason why federal recognition was so important was that it would grant the tribe access to governmental services and reparations. To shed light on this story is to give much-needed sunlight to a shameful practice which goes often unmentioned or discussed. I spoke with Barajas about his great-grandfather and why he wants to tell this story using a sequential narrative. 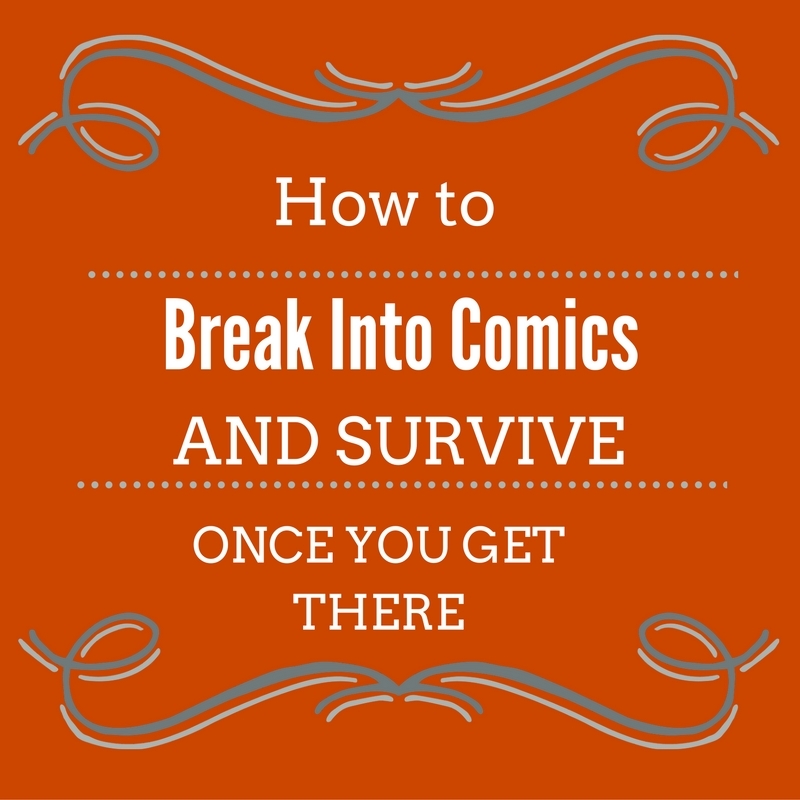 For Barajas, the ability to tell this story using comics cuts through the red tape of other media forms. Making a movie about this would require a great deal of funding and he’d be likely to have to give up a lot of the creative control he has to tell the story faithfully. Barajas is working with artist Jason “Gonzo” Gonzalez, with editing by Claire Napier. I asked Barajas to describe how they all teamed up. When it comes to telling this story, I wondered why now? Barajas has been working on this story for years. It’s one that he has taken incredible pains to get right. That’s because there are so few stories about native and indigenous people out there, at least relative to other U.S. historical accounts. I would myself be lying if I said I had ever heard of the Pascua Yaqui tribe or knew anything about their struggle to be recognized as a native people. It’s another way the U.S. tends to whitewash history, and this is our recent history. This Kickstarter campaign is currently looking to raise $7,000 to help fund its printing and publishing. Funds will also be used to help pay the creative team behind this vital work. The backer rewards are lovingly put together and will be printed by a local Tuscon, Arizona shop. For merely an $8 pledge, you can grab yourself a softcover of this comic and $5 gets you the digital version. For me, this is the kind of story that Kickstarter was made to help amplify. It’s a history that needs telling. It’s a story that we may not have ever had the advantage of seeing without crowdfunding. Funding for this project will end on October 3, 2018. Don’t miss it! Lord help me if this Kickstarter was not made for my aesthetic. I know that’s not what is important here but I’m a big old fan of papercraft. Small press publisher, Beehive Books is behind this delightful comic about mortality, rebirth, memory, rebirth, and the interconnectedness of all things. These six stories are created in papercraft by the award-winning artist and illustrator Maëlle Doliveux (Fractured). Why have I included this is a story that needs telling post? Because the legacy of grief and its impact on all living things so often goes unsaid. The pool of grief can feel infinite but it also paves the way for new life. I love the idea of exploring what emerges from death, grief and the acknowledgment of our mortality. These are not tales of heroic deaths or martyrdoms, but everyday endings that weave through life at every scale. A young architect travels to a war-ravaged city to project holograms of once-standing landmarks. A prince reflects on the strings attached to his inheritance. A genetically engineered mushroom witnesses the end of a planet. The book will explore grief and mourning, but also relief, renewal and humor. Tales range from ancient history to the heat-death of the universe, tracing characters who make an effort to reach out from their brief lives and limited perspectives to build something that will outlast them, to connect with the richness and constancy of the world around them, or to create meaning that is larger than themselves. I WILL LIVE FOREVER is a 148-page book that will run at an oversized 8.5 x12.125″ trim size. The book will also be printed on 150-pound paper stock, what does this all mean? This book is big and gorgeous, that’s what it means. This book does not come easy, can you imagine the time it takes to hand cut paper? Well, if you can’t, I can tell you. It takes a lot of time. That’s why Beehive Books has put a delivery date of this work for October 2020. Doliveux has given herself two years to complete the work required for this project and that’s a good thing. The backer rewards available are just stunning. From a gorgeous enamel pin to inscribed papercut bookplates, everything is carefully curated to match the theme of the book. Due to the nature of this book, meaning the sheer amount of effort that will go into creating and publishing it, there are various options for retailers, co-publishers and other folks who may have a little more money on hand to help get this work into the hands of the public. 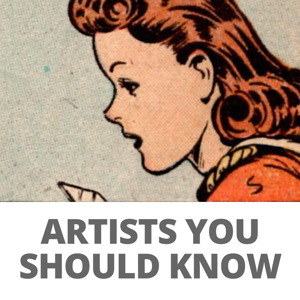 For example, backers can get an original art page or cover artwork by the creator. The team is hoping to raise $60,000 to help fund the creation, printing, and publishing of this work. Beehive Books are old hats at Kickstarter and have carefully priced out exactly how much production, shipping and rewards will cost. Because of this, they don’t foresee any challenges. Naturally, the team understands that publishing comes with risks but they will be transparent about any issues that may arise. Funding for this project will continue through October 23. Keep telling stories, keep creating. Maelle’s project looks amazing and I hope she hits her goal! Thanks for the coverage, Andrea!